If late drama and Jordan Pickford have gone hand-in-hand this week, at least he could savour it this time. After the Everton goalkeeper had condemned his side to defeat in the Merseyside derby, this time he preserved a point. A fine save from Christian Atsu amounting to at least a minor moment of redemption. 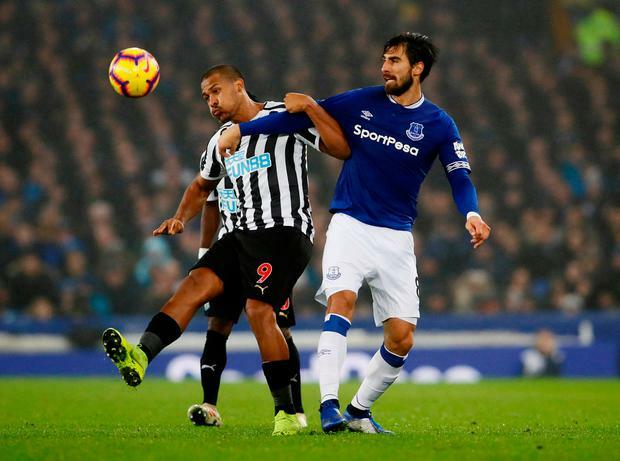 Once again, Everton could rue the antics of an opposing goalkeeper as a brilliant Martin Dubravka save secured the sort of hard-earned draw that makes it increasingly less likely that Newcastle will get dragged into the relegation battle. 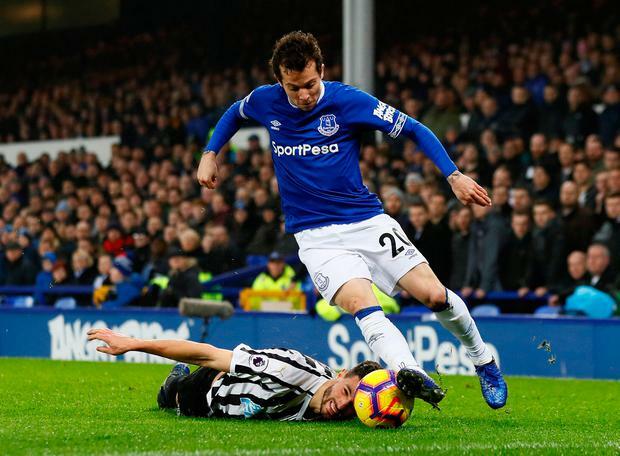 Perhaps Everton should be flattered that Rafa Benitez chose to adopt a damage-limitation exercise, picking a back five, a tactic he had only previously used against Manchester City and Chelsea this season. Yet if Newcastle's manager seemed to go on the defensive, his players prospered nonetheless. 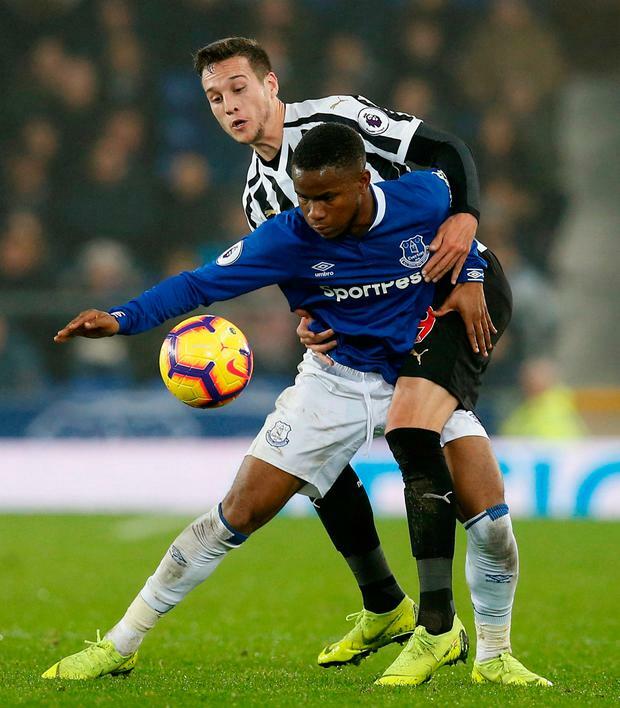 Benitez was without his first-choice wingers, the injured Kenedy and the suspended Matt Ritchie, but that gave Jacob Murphy an opportunity he was quick to take it, embarking on a 40-yard solo run before bending a cross Salomon Rondon met at the far post to emphatically for Newcastle's first goal at Goodison Park since 2013. But if Everton were initially taken aback by conceding, they responded. 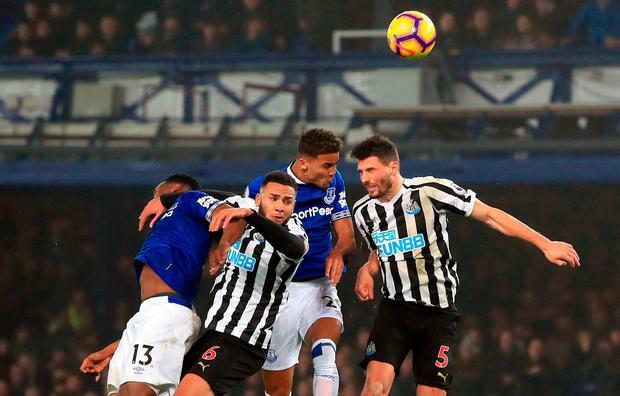 Federico Fernandez made a goal-saving block to keep out Gylfi Sigurdsson's shot and Dubravka showed his athleticism to tip Richarlison's shot wide. Yet it only delayed the equaliser by a matter of seconds. Sigurdsson took the resulting corner, it deflected off Jamaal Lascelles and Richarlison scooped his shot home. Everton had the momentum then but lost it during a subdued start to the second half. 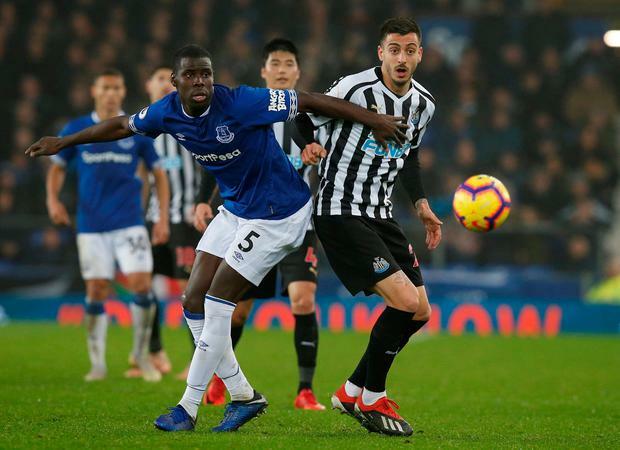 Newcastle built on solid foundations and Atsu, who made a negligible impact during his loan spell at Everton, was altogether brighter on his return, testing Pickford with a shot on the turn before wasting the opportunity to clinch a second straight away win for Newcastle. Nick Purewal Chelsea are expected to lodge a format complaint with the Football Association after Burnley's backroom staff "offended" Maurizio Sarri in Monday's 2-2 Premier League draw at Stamford Bridge.